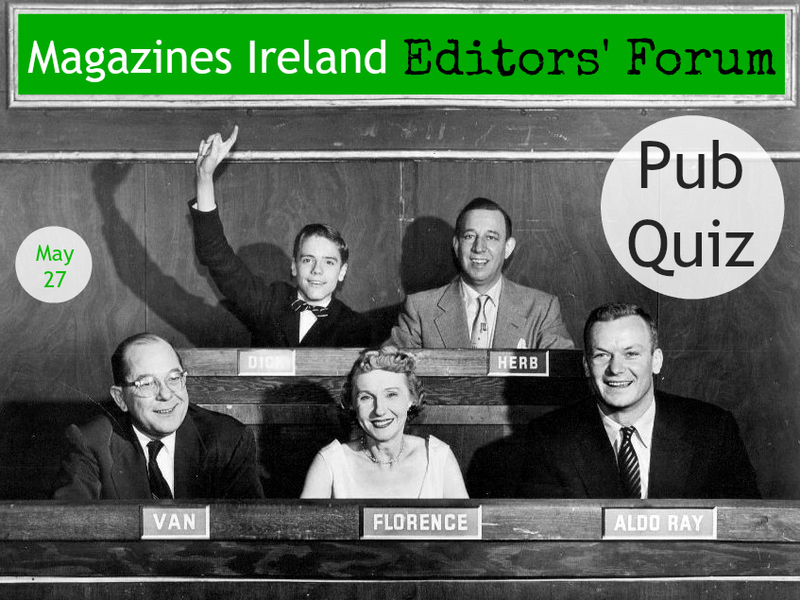 Magazines Ireland Editors’ Forum PUB QUIZ! Join us on Wednesday, May 27 for an Editors’ Forum pub quiz at Scruffy Murphy’s pub. Battle it out with your fellow editors for lots of great prizes, and glory.